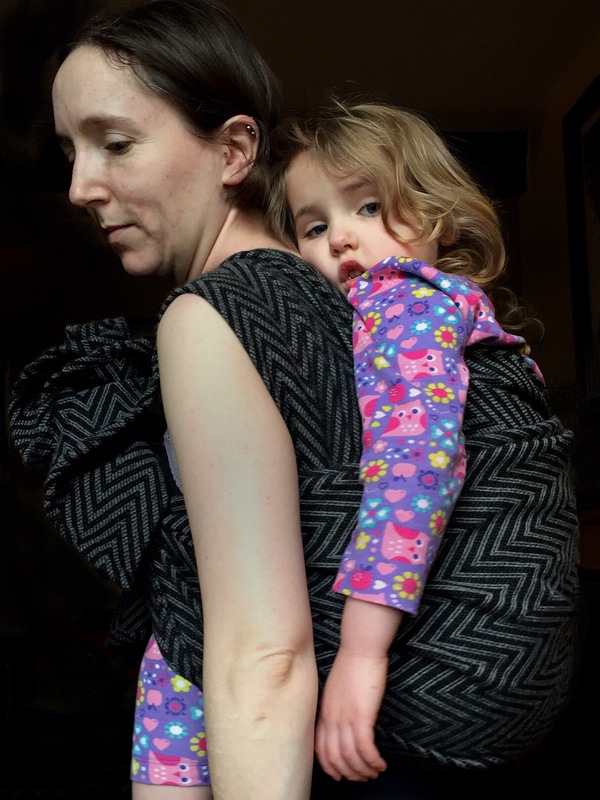 I have been meaning to write a review of Artipoppe’s W Black Pearl for some time and then I had the opportunity to buy its ‘sister’ wrap. Now the time feels right and to review them together. I shall start with W Black Pearl, the second of the two W’s to be released and the one that grabbed me when I first saw it. 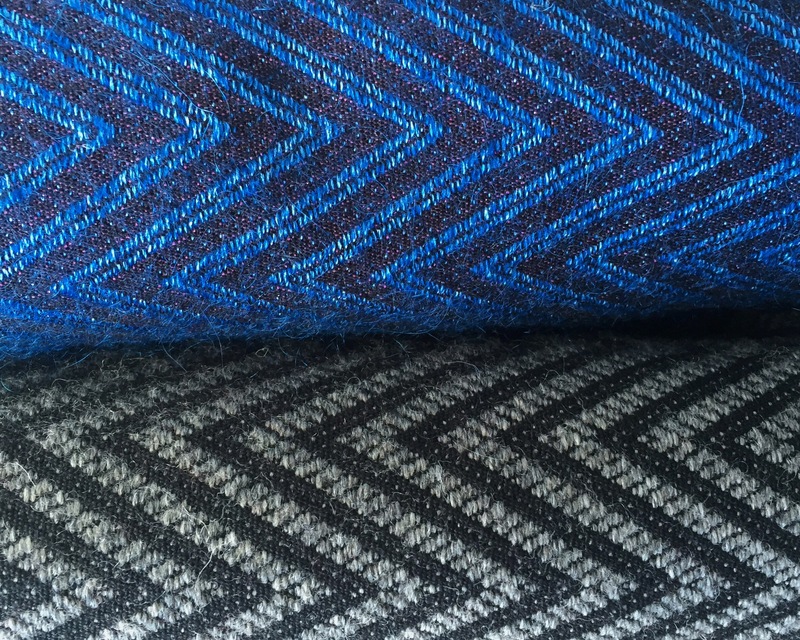 The W pattern is a very simple but striking one of repeating w’s that create a tight and slightly mesmerising effect. I loved the design for it’s mature monotone simplicity but what grasped me by the heart was the blend.BP is 38% Egyptian cotton 25% merino 20% cashmere 10% alpaca 7% baby-yak which to me, a wool lover, is the ultimate decadent blend. When I saw it I dearly hoped to meet one at some point. I did, through a trade and the one I have is a long size 3. Broken in but still relatively new BP felt thick, blankety and substantial but the tight and chunky weave gives it a wonderful, subtle texture that demands to be stroked and cuddled. It is a heavyweight wrap and is described by AP as a “little stiff at first, once broken in it will be buttery soft while still being supportive. Perfect for cold winter days as wind will not get through this dense wool harness”. It is certainly dense, no light shines through it when held to the window and very heavy. Annoyingly no weights are listed in AP releases now but I weighed it and worked it out as being 427g m/sq. Hefty. Yet BP is not thick and heavy in hand; it has a soft drape to the fabric that speaks of a wrap that, whilst being a veritable toddler prison, will wear like a cuddle. I had always been intrigued by W Love from watching the release; it was the first of the w’s to be sold though from seeing the discussion and photos others posted up I was hesitant about the hairiness of it being right for me. I remember a mohair blanket I once owned and it was an itchfest. Love is 41% Egyptian cotton 28% mohair 20% silk 9% merino 1% polyester 1% nylon and at the point of release, weight was still being given (260g m/sq) though I haven’t checked this at home. It is described as ‘hairy, woolly, cloudy soft but a little itchy. Haters will hate, lovers will love. Suitable for the latter’. See, the ‘h’ word, I got the fear and looked away despite loving the electric blue and black with its subtle purple sparkle. So, I sat on my hands, seeing a few for sale and trade but a recent ‘W’ appreciation thread on one of the AP groups made me hungry to find one. After all, it’s the only AP pattern I would ever own all of (missing the crying laughter emoji here). When my size 4 arrived it was like a cloud of silk beauty had just floated into the office. I could do nothing but hold it up to my face and snuggle it with nary a hint of hairiness, a tickle maybe but that was all. I later learned that this one had been broken in well and that seems to have solved any harshness. What I had inherited in hand was a liquid, light and luscious wrap. I’m glad I didn’t meet Black Pearl at the start of my wrapping journey as I might have traded it away quick-sticks. This thing is a beast; it’s hefty weight so great that I am glad to have it as a shorty as it would be quite a workout to wrap with a base size. In hand though it is a gentle beast, soft and the pattern gives it good grip. That said, I find I have to gather my minimal precision wrapping skills together when working with BP due to the density of the weave. It means I do sandwich the fabric for my narrow shoulders (and still get pleats) and I have to take extra special care tightening it to get it just right. As expected, knots are quite substantial with BP so despite it being a long 3 I use the entire wrap getting a double knot. However, the grippiness means I can half-arse it with a half knot and it holds beautifully. W Love is a totally different experience; thin in hand and no need to sandwich the shoulders, it pleats and knots down very neatly. The pattern again gives good grip, which is vital in this very fluid blend that also lends it quite a bit of stretch and bounce. Equally, I have to pay attention to my wrapping to get a good tight job but once I’m done it’s perfect. Maybe it’s just me, the sloppy wrapper with slowly increasing skills, as I hear others have no issue whatsoever. Getting a nice deep seat in both Love and Black Pearl is a cinch. 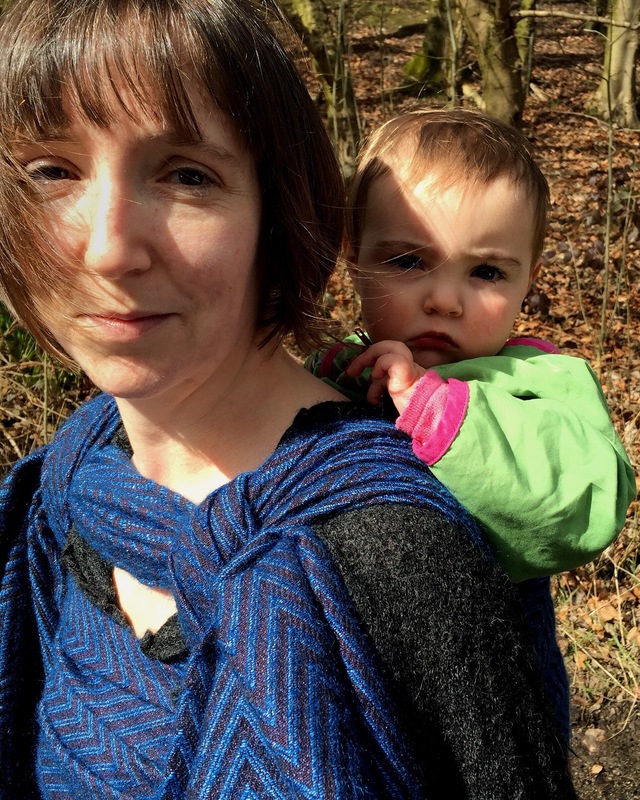 It was during the 30 day wrapping challenge when Smallest would have days of (understandably) not being impressed at trying many carries in a day that I discovered wrapping my eldest. 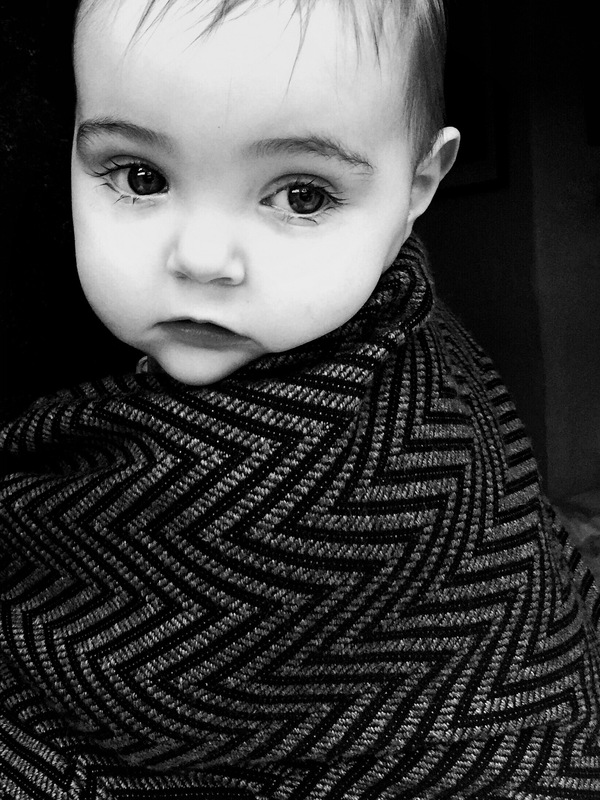 We both loved it, she would drape over me, the easiest wrappee in the world – though I caveat that with the fact that she’s a bit of a judgy-pants of a sloppy wrap job. My four year old is an opinionated and articulate wonder. It was also around this time I was winding up the wrap-breaking-in holiday of the beastly but fabulous Two Birds Havana. 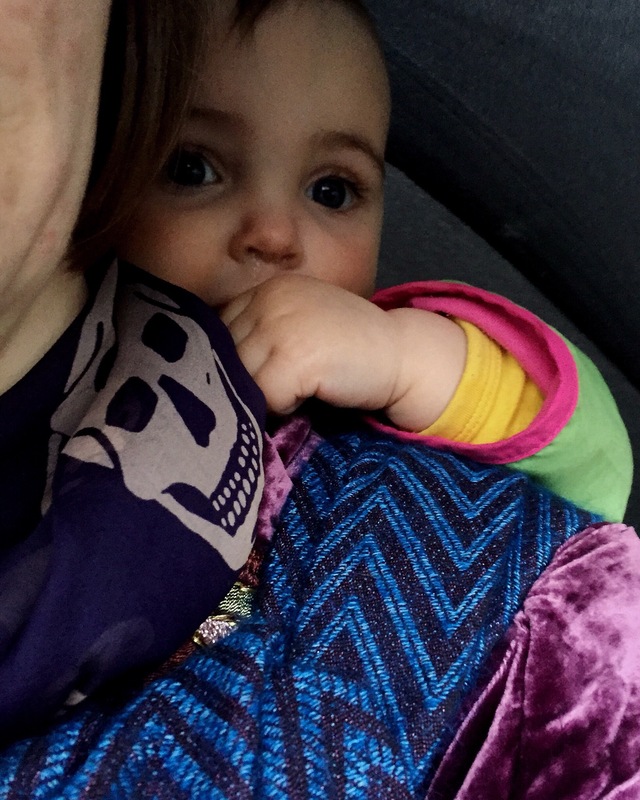 Therefore, part of my motivation to find BP was about having a wrap for my four year old, one that could hold her comfortably for snuggles, mostly about the house. Due to the heft of BP I have used it for little else than a ruck and an occasional tied-at-the-shoulder number. As a 3 though it’s perfect for my lazy go to of a ruck and in the words of Anna, AP’s owner, she could ‘ruck her grandma in it’. It can certainly ruck my eldest with ease. 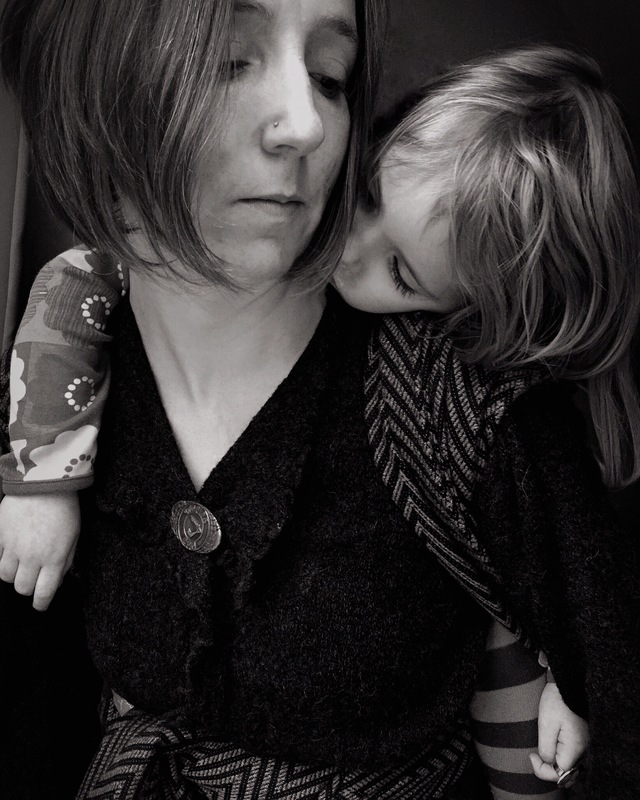 One day I promised her a carry home from the childminder’s as Smallest was elsewhere that day. Black Pearl wrapped tightly up her back, was soft and very gentle on my shoulders. 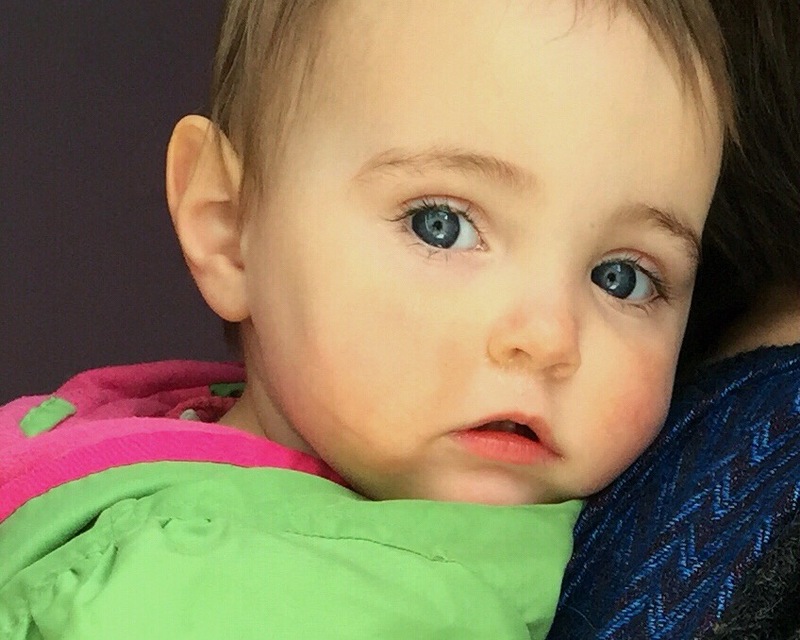 We use it a lot, mostly when she’s watching Octonauts and fancies an extended cuddle. It is most definitely her wrap and she has become very attached to it for what it represents – time together. That said I use it a lot with Smallest, I especially have done through the winter, as it holds her warmly and she calms in it immediately. She has also been known to fall asleep in it too which is a rarity for her as she’s usually wide-eyed at the world. We adore Black Pearl in this house; what precision it requires when wrapping pays off with an intensely good carrying experience. I’d recommend it for larger babies through to whenever carrying ends. The blend, design and wrapping qualities are wonderful. 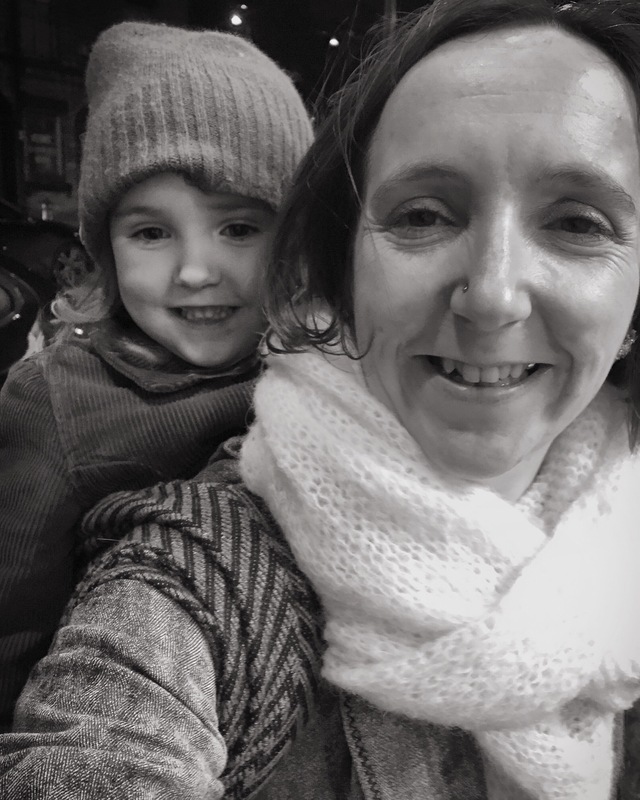 Though I have tried Love with my eldest I bought Love really for Smallest as her wrap – it’s an equitable house when it comes to beloved wraps. The cloud-like feel of Love translates to a divine airiness when worn. The mohair is warm but not overly so and provides the bounce but the mulberry silk gives it a subtle strength that makes it a very comfortable wrap to wear for extended times. I would also happily use this as she gets older and shall use it throughout the year whereas Black Pearl is really for autumn-winter. I’ve gone on quite a few long walks using Love and it has been gentle on my shoulders and left not a mark on my skin. It is a wrap that asks to be stroked when you’re wearing it and the tickles from the mohair are delightful. 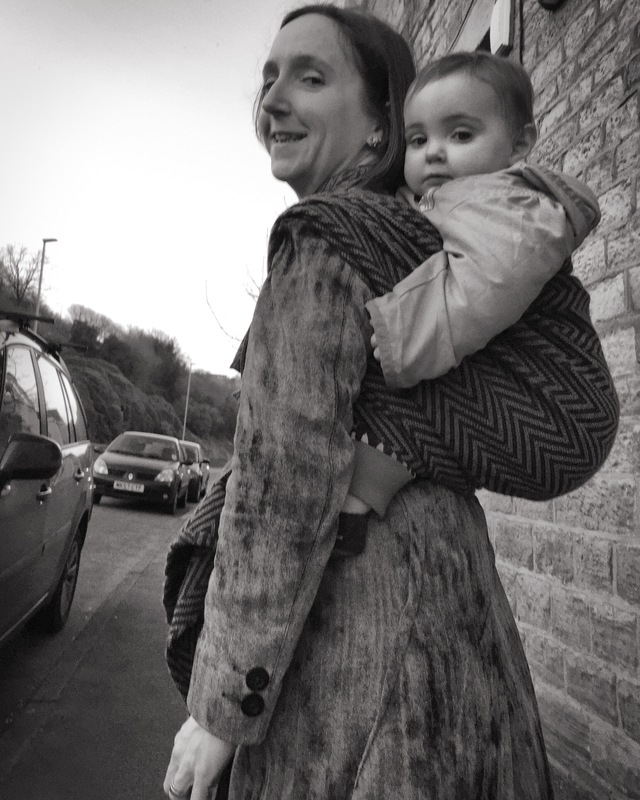 The lovely length of my 4 has meant it has been perfect for a double hammock tied at the shoulder and my favourite lazy-but-glam carry, a ruck tied Tibetan. It leaves very pretty tails using the latter. 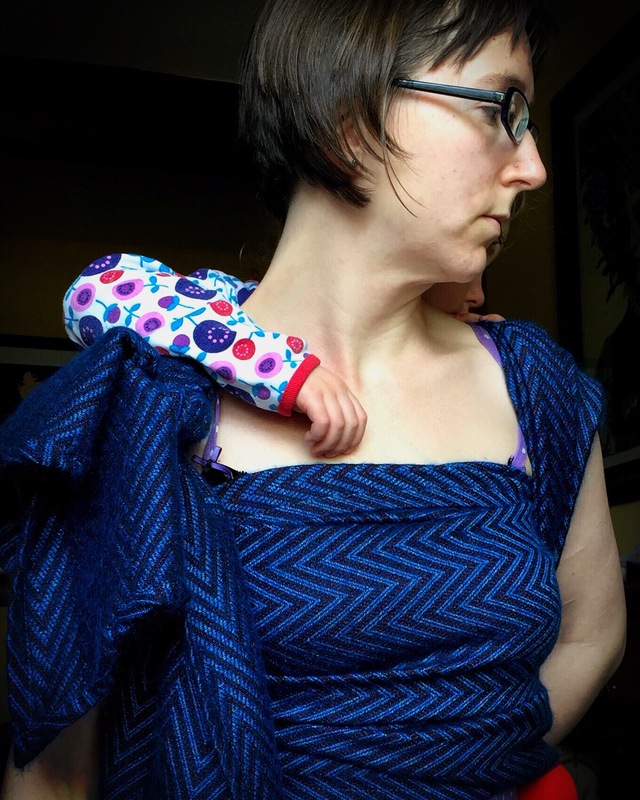 I love the support and softness of this wrap; the relative shortness of this part of the review speaks only of the limited time I’ve had Love compared to Black Pearl. To me they are total opposites, woven for different carries, moods and wrappees but I adore them equally and get great pleasure from both. If you can try one, or both, do. If it were an Argus pattern, buyers would be ISOing all over the shop for them. As it is they are relatively available at below retail; a crime for the incredible blends and wrapping qualities of both. Artipoppe have a website where you can look up past releases and buy the larger released black label. Wrap Lab releases are sold on the Facebook page.